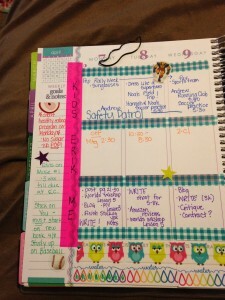 Lately I have been finding lots of little ways to NOT do the work I’m supposed to be doing. Not just my writing (although I eventually make my self mandated word-count), but house work and everything else that I need to do. It started when I had foot surgery last month. I was out of commission for two weeks – unable to do anything but lay in bed. I did get some reading done and a lot of television and movies watched. My foot is still in a surgery boot and has limited use, but I’m able to get around the house and do most of my normal stuff. (Just no trips to my beloved Target!) However, instead of getting back into the swing of things quickly I’m having the hardest time readjusting to the real world. I’ve only been vacuuming once a week instead of every other day and the dishes only get done when I run out of coffee cups. Laundry, is pretty much the same, because my husband and eleven year old have taken over. I can’t get to our laundry room because of the stairs so they have been keeping to my one-two loads a day schedule. 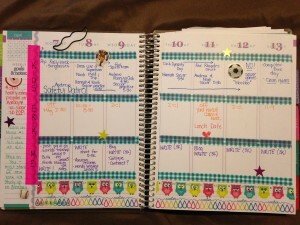 In my quest to procrastinate I have found a new hobby…planner decorating.